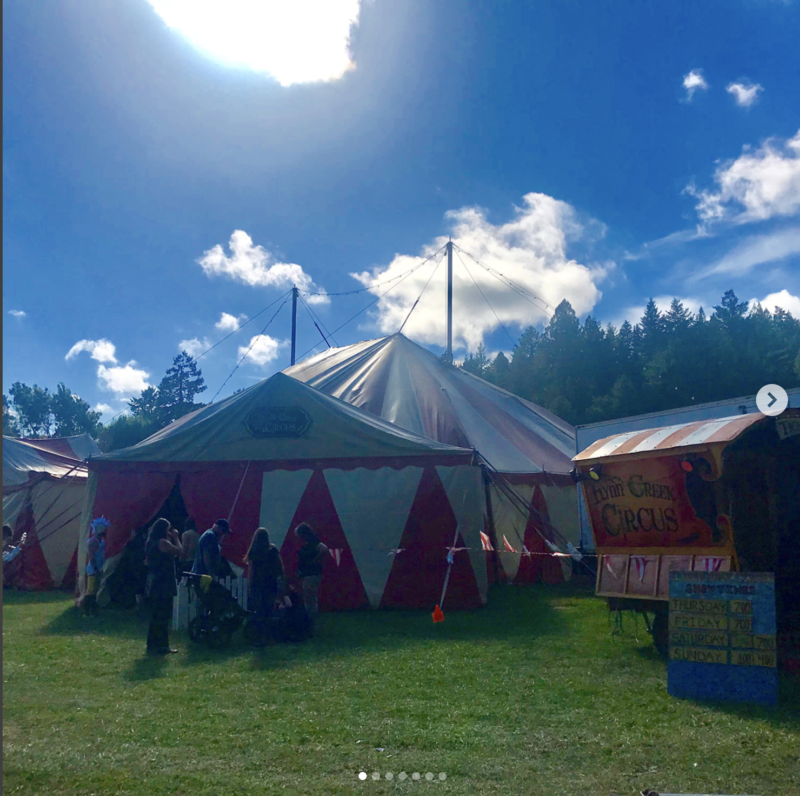 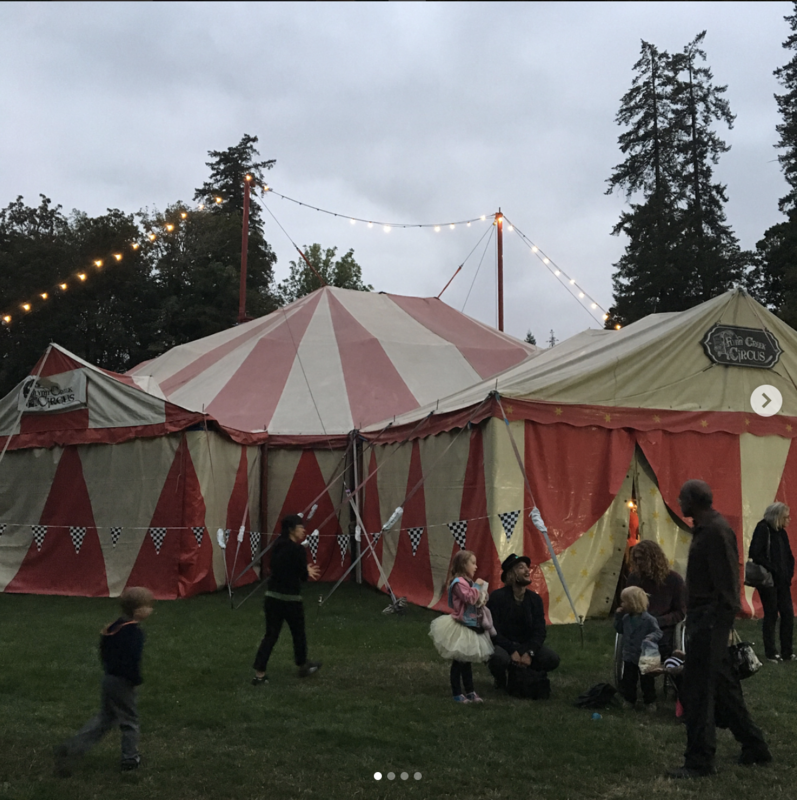 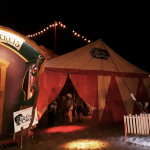 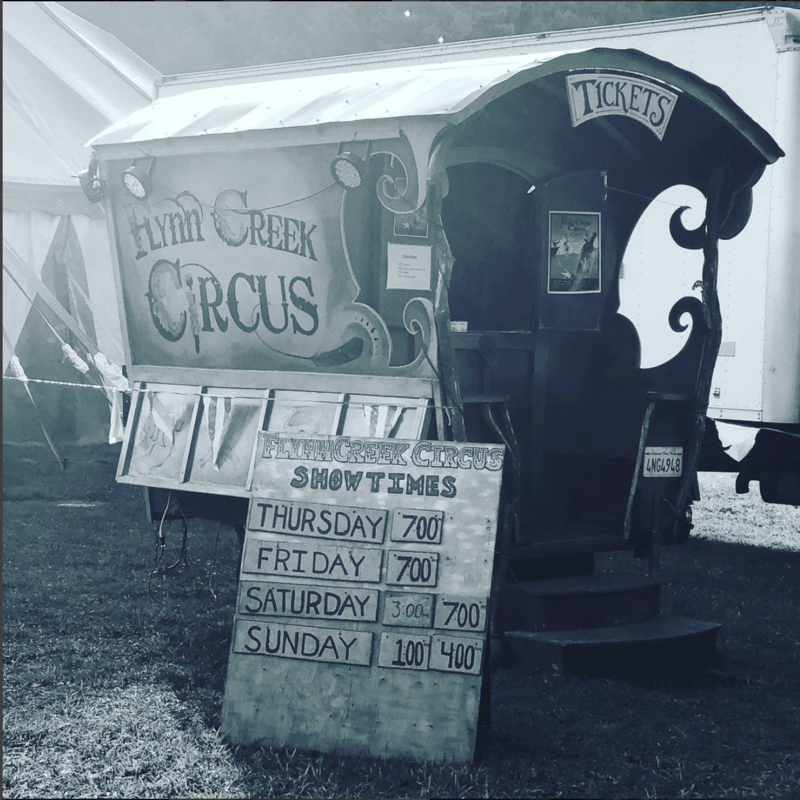 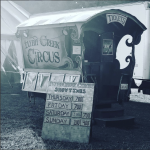 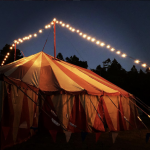 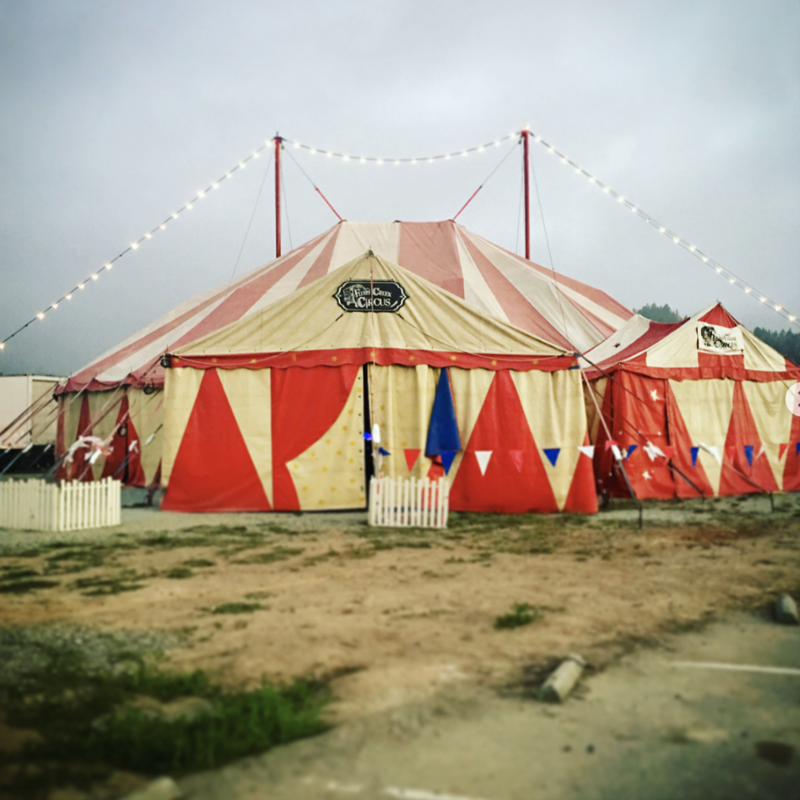 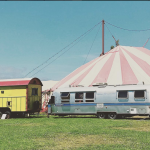 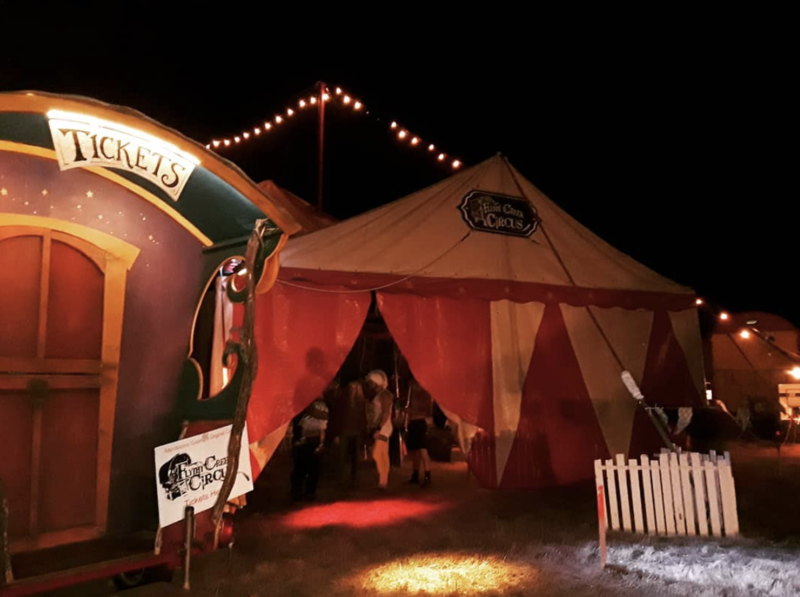 Flynn Creek Circus has the perfect vintage look for movie sets, themed events and private parties. 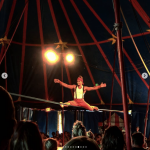 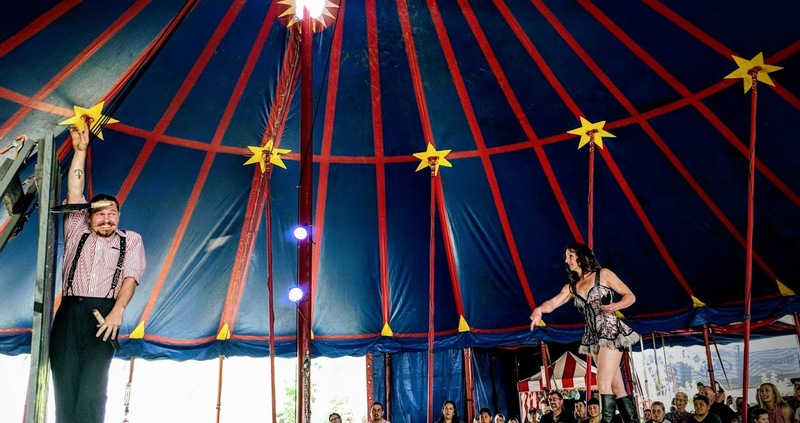 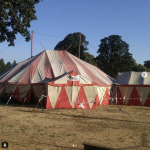 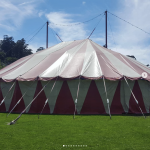 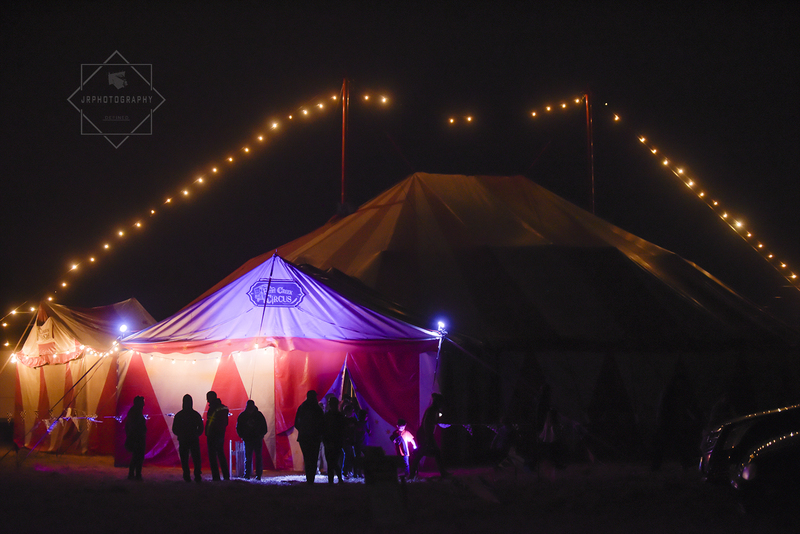 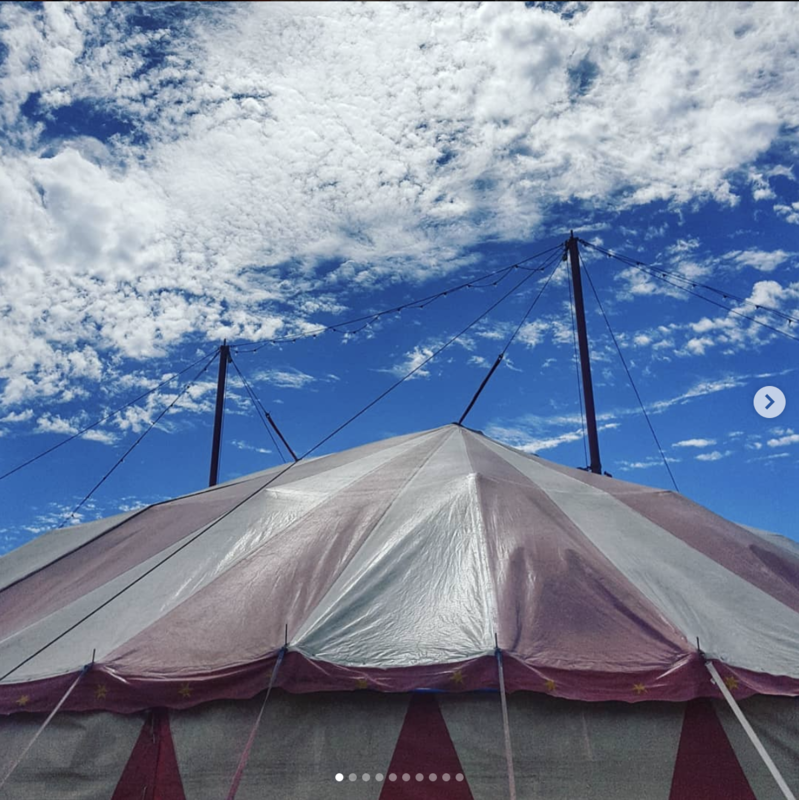 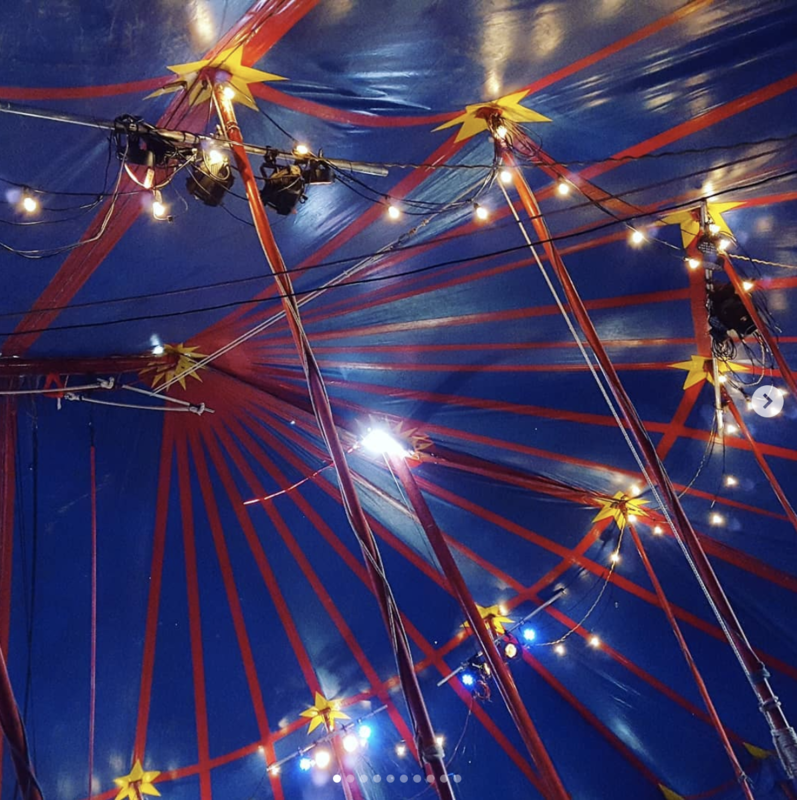 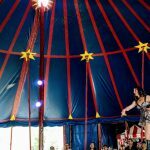 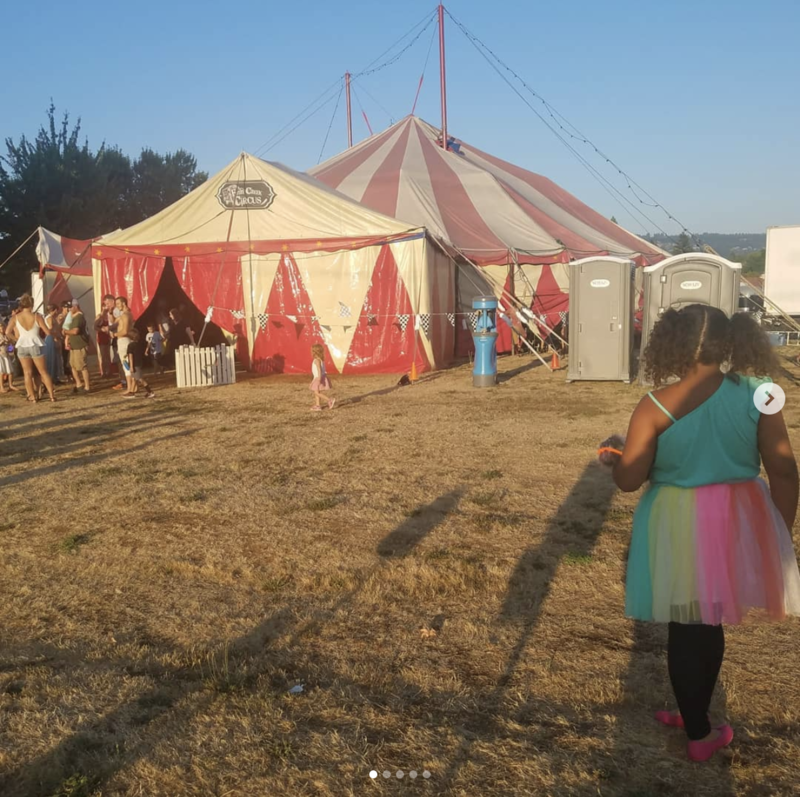 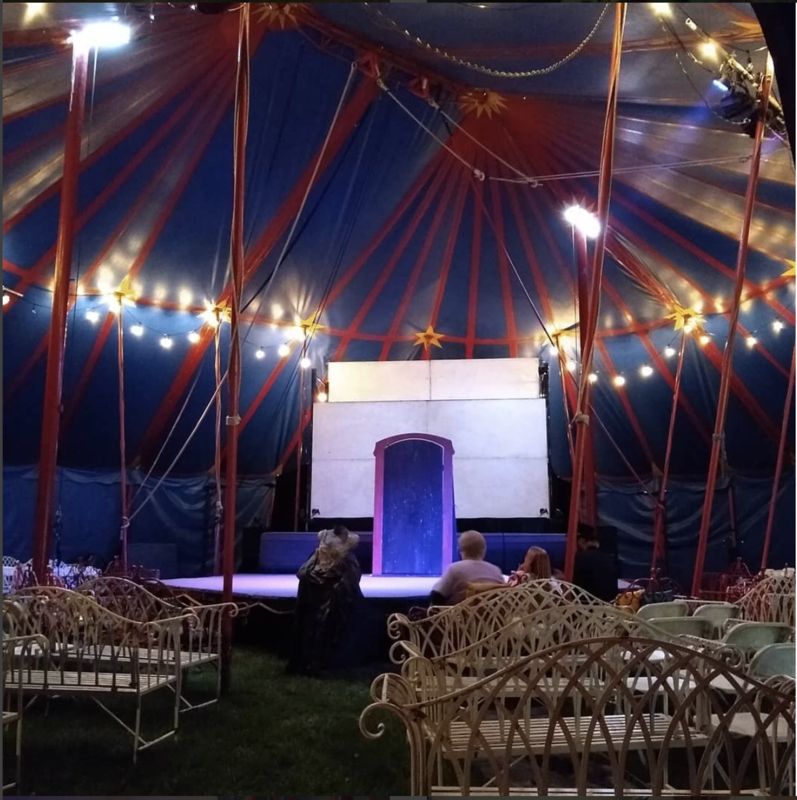 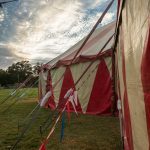 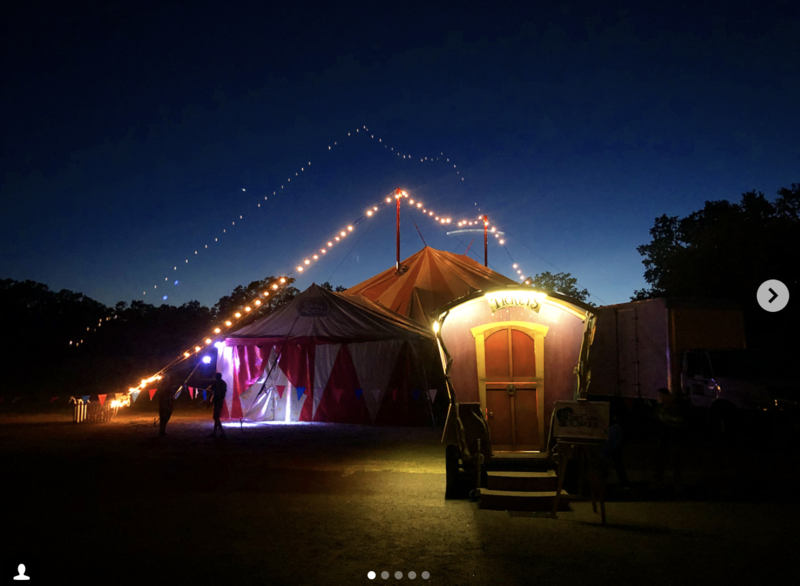 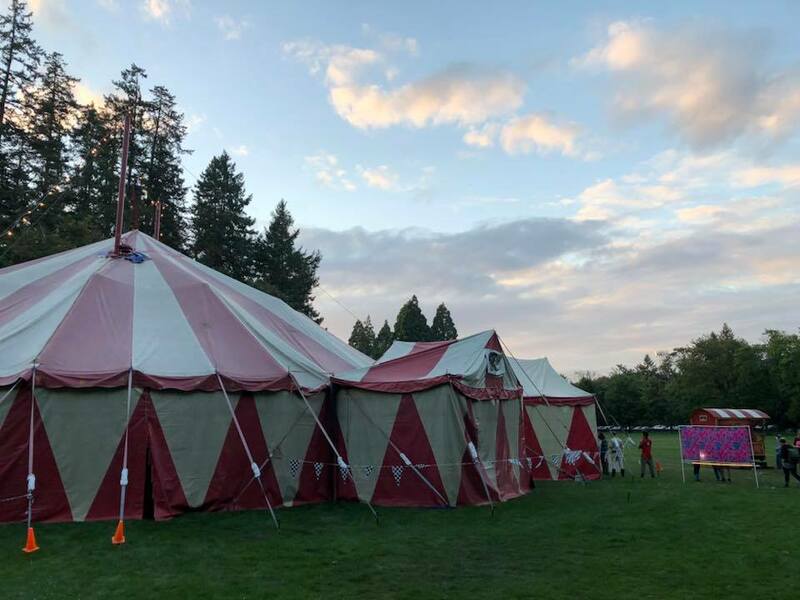 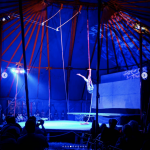 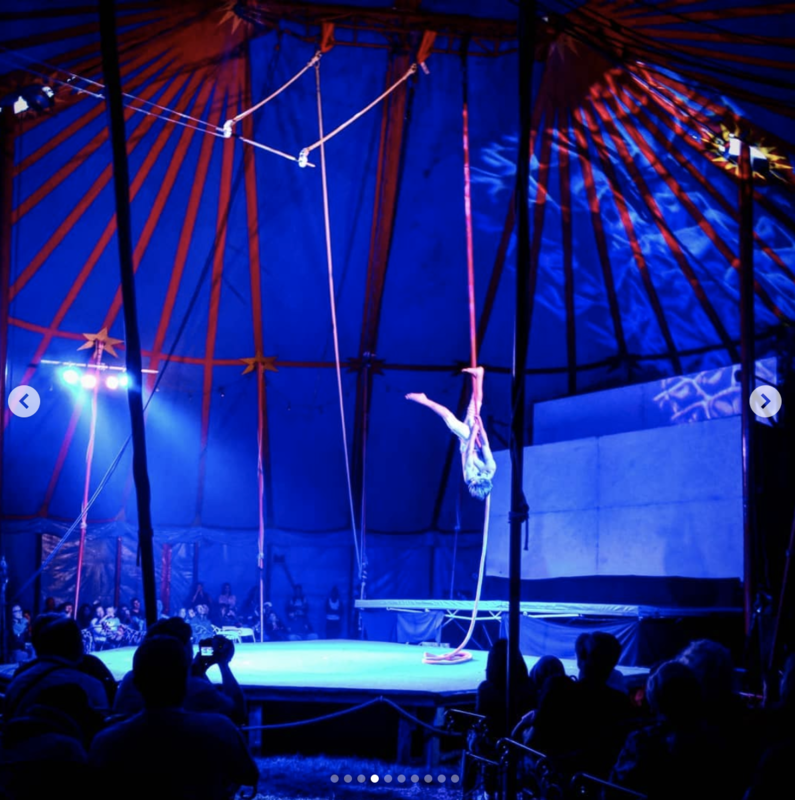 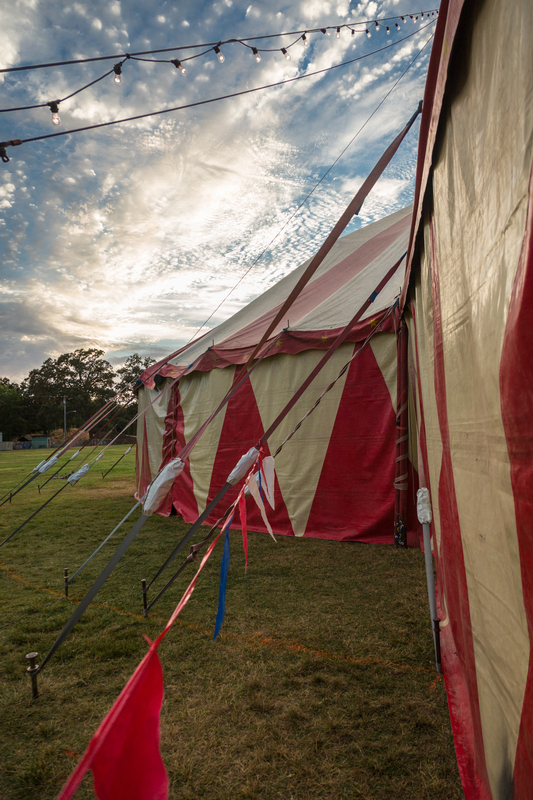 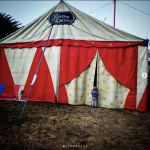 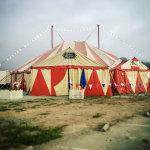 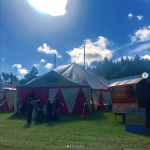 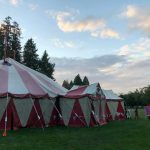 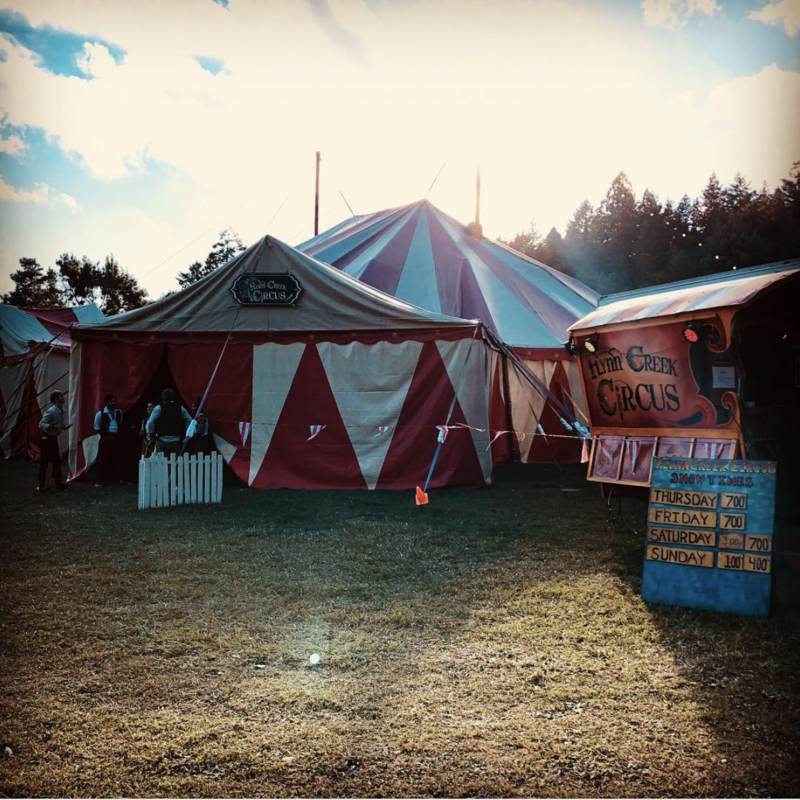 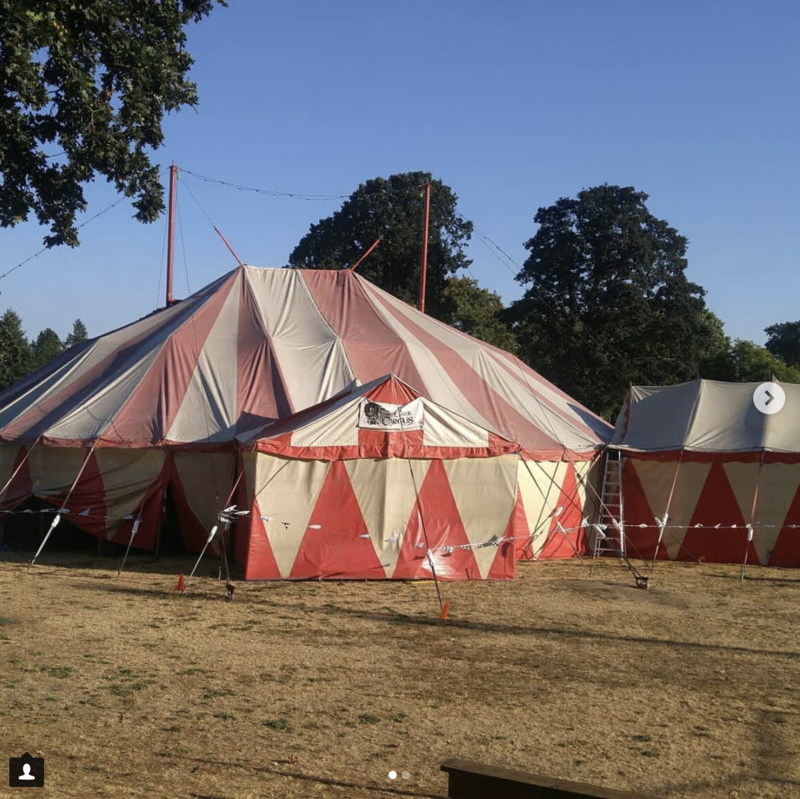 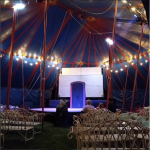 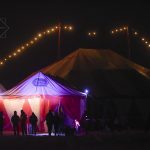 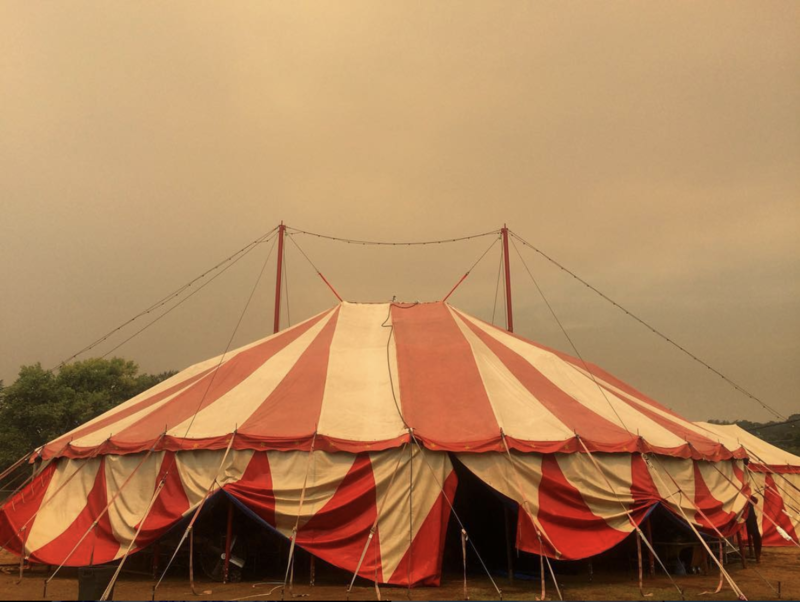 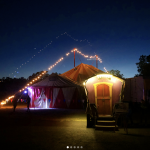 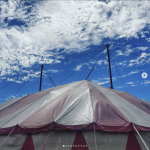 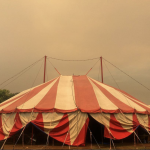 Our 22x24 meter 2 pole big top tent is a well preserved, 15 year old, German made circus tent. 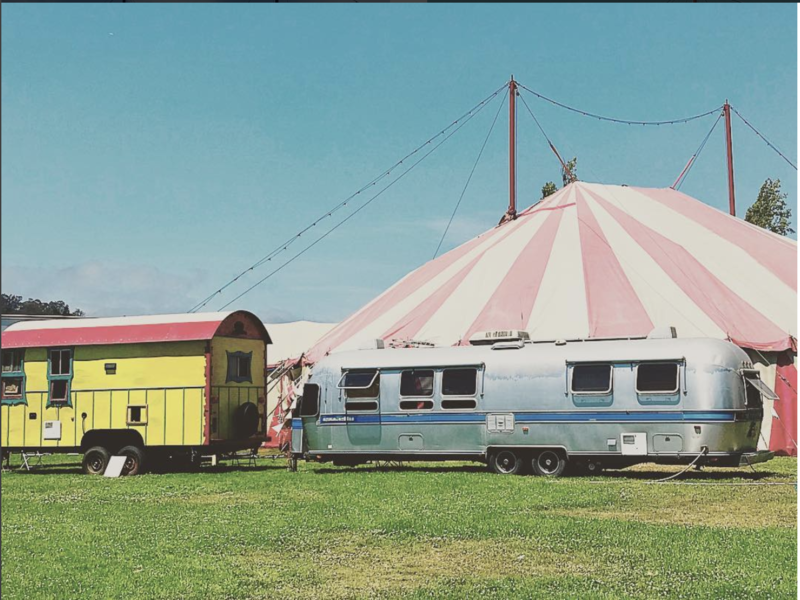 The iconic red and white exterior make it instantly nostalgic while the blue interior give a blackout effect for better lighting control. 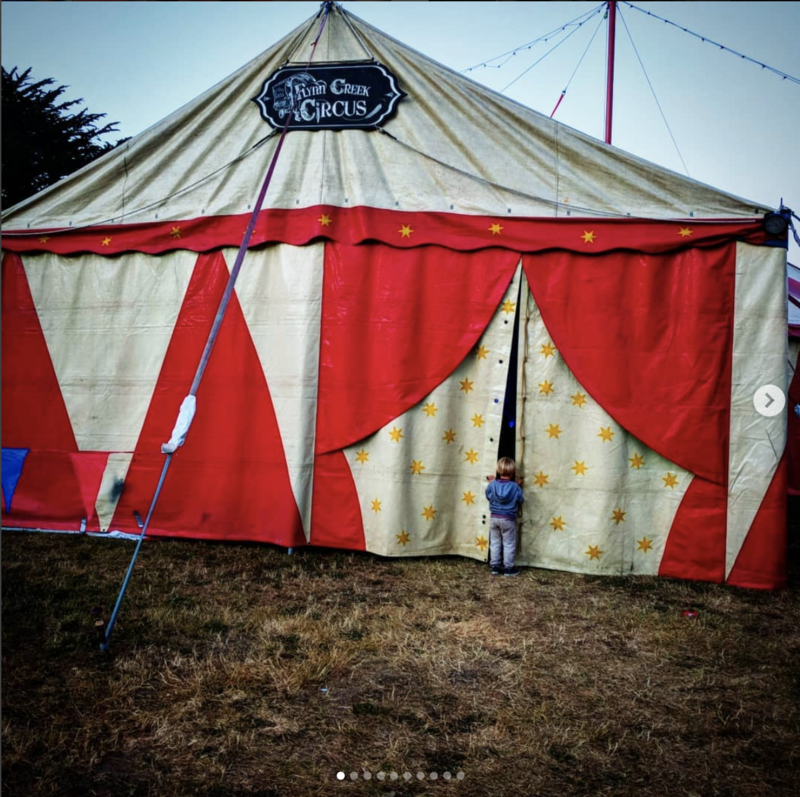 There is wear on the sidewalls which allow filtered daylight to enter the interior and creating a natural circus setting. 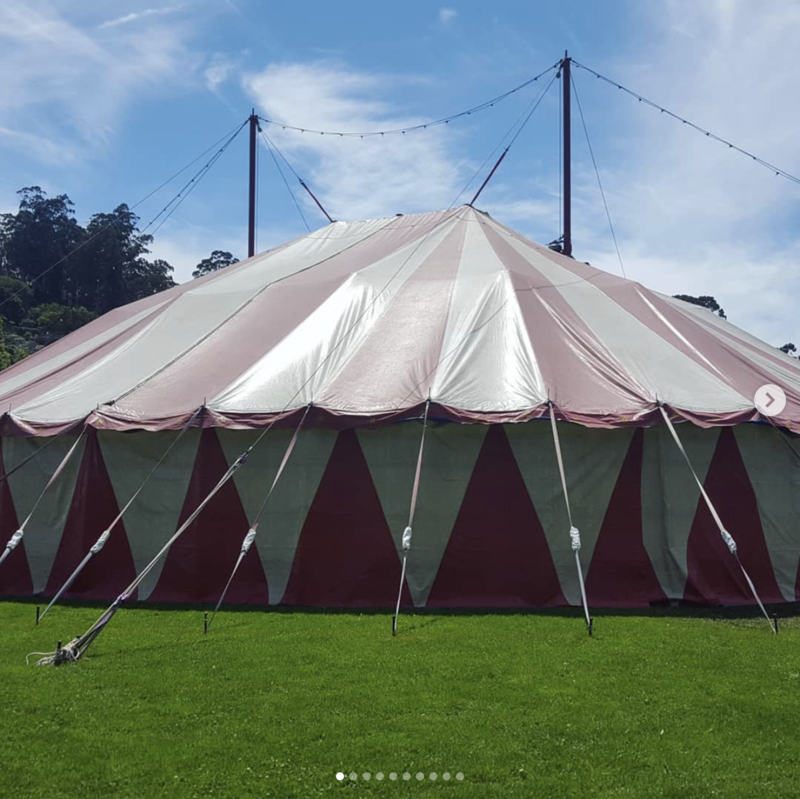 If you need a slick new look, this is not the tent for you, If nostalgic, iconic and vintage are the words that describe your design, we are the perfect fit. 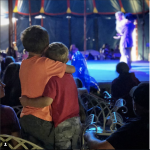 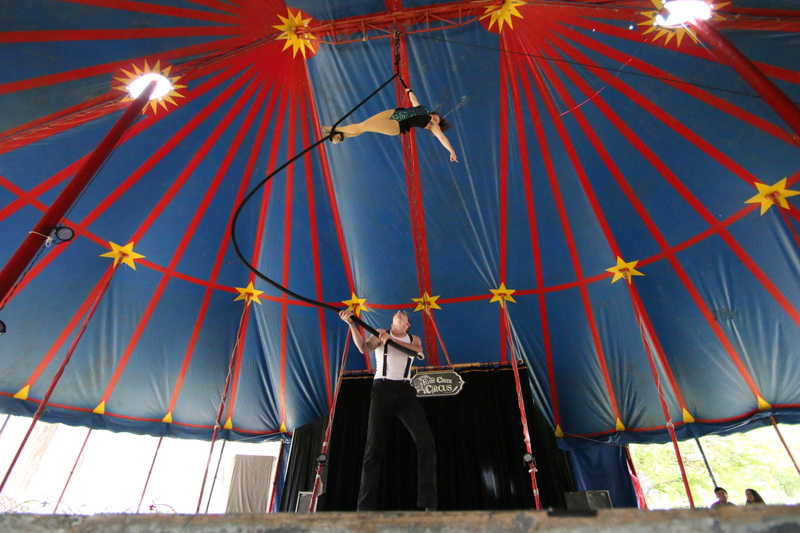 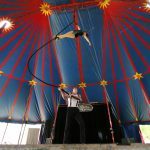 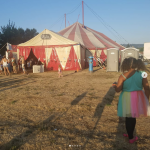 Flynn Creek Circus perfomrs in Calistoga.